Fresh produce not only tastes good but is good for you- Vamp up your summer dishes by adding a few of these greens to your garden! If you’re like me, you probably couldn’t think of 10 different greens off the top of your head, but lucky for you I did the research. 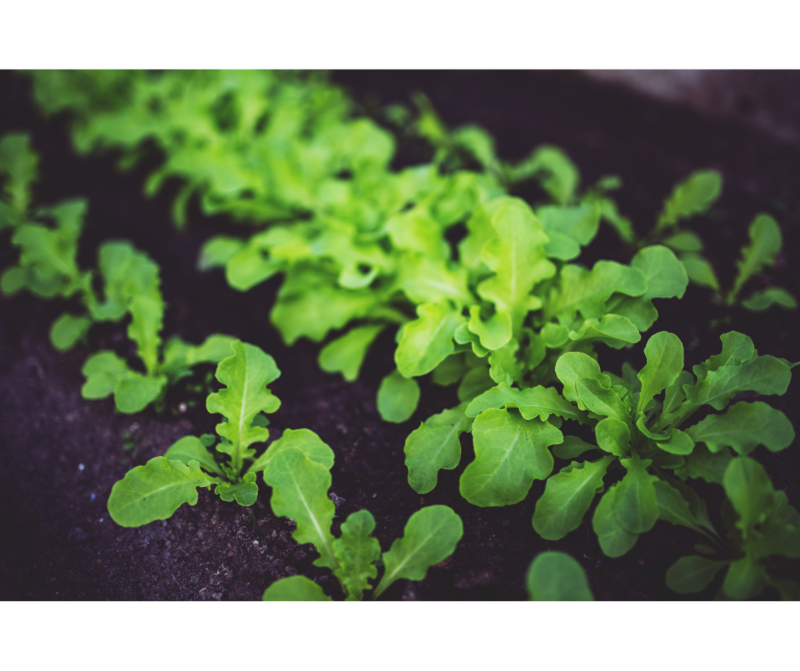 Bring your green thumb out this Spring by planting these 10 nutritious leafy greens in your garden! I have added a few tips and tricks to make these leafy greens taste not so green. This is the easiest one of all. Make fresh lettuce to throw on burgers, for crisp lettuce wraps, or simply just a salad. Don’t get overwhelmed by the amount of options. Between iceberg, butterhead, loose-leaf, romaine, or the hundreds of hybrids, it’s easy to panic- look at your area’s climate and talk with your gardener to see what are your best option. Cabbage is very high in Vitamin C. Cabbage is pretty simple to cook, all you need to do is throw it in some boiling water and salt to make the green turn into a nice tender texture. Did you know that you can eat the leafy tops AND the root of a turnip? A rule of thumb: use the roots as you'd use potatoes, so bake, boil or mash them. The greens are good steamed, sauteed or added to pasta, stews and soups. They tend to bloom at the end of the summer, so you have plenty of time to plant them. No this is not a typo, Mizuna is actually very easy to grow and is related to Turnips. Mizuna is nicknamed Japanese Mustard and has a mild, peppery taste. This green (although grows to be purple) I great for eating off the stem, throw them in a stir fry, or pickle them! We all are familiar with the Kale rush of 2016. It seems as if recently Kale is being added to everything. There is a reason for that, as it has amazing health qualities and is known as being a “super food.” Put it in a smoothie, steam it in a stir fry, or bake it in the oven to make your own kale chips! Pick the leaves while they’re still young and tender and wash them thoroughly before using them. Collard leaves are sturdy enough to use as wraps for sandwiches or burritos, or you can stir them into soups, stir-fry them or shred them into slaws and casseroles. Smoothie fans can blend them with their favorite ingredients! Arugula is amazing with chopped watermelon, feta cheese crumbles, and a little balsamic dressing. Arugula can be eaten raw or be sautéed or steamed like spinach. Feed the plants with a time-release fertilizer as indicated on your product's label and harvest until the flavor of the leaves becomes too strong for your taste. Swiss chard needs well-drained soil with lots of organic matter and a site that gets full sun to partial shade. Let the leaves grow to about six inches long before harvesting them and cook them like spinach. The stems can be used like asparagus. Spinach is the O.G. green. It’s been popular since Popeye and has become a staple in many dishes. The Universal green can be cooked or thrown into just about any dish. (No, they don’t taste like mustard) Like its relatives, collards and kale, its flavor is also sweeter after a slight frost. Plant your seeds in well-worked soil with plenty of organic matter worked in, and in a site that gets full sun to light shade. Keep the plants mulched and moist, and prepare to start picking, as mustard greens grow fast.